today i was browsing michael norwood's photography blog when i happened upon this great image. 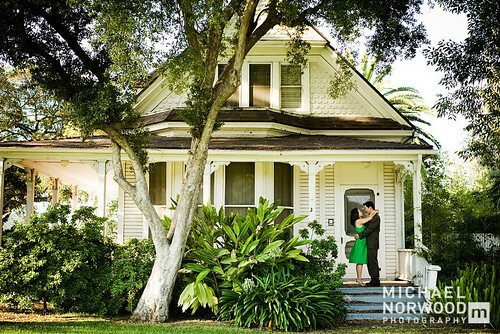 it is from the engagement shoot of grace & phil in santa monica. her green dress is just so perfect for the setting, and this shot is my favorite. the vintage feel of the victorian home evokes such happy thoughts!